........OPEN HOUSE SAT 4/27 11:30 - 1:30 !! .........:*~* !! $10K PRICE REDUCTION!! *~* Use the Savings for Kitchen Upgrades, Fresh Coat of Paint or Your own Personal Preferences!!! 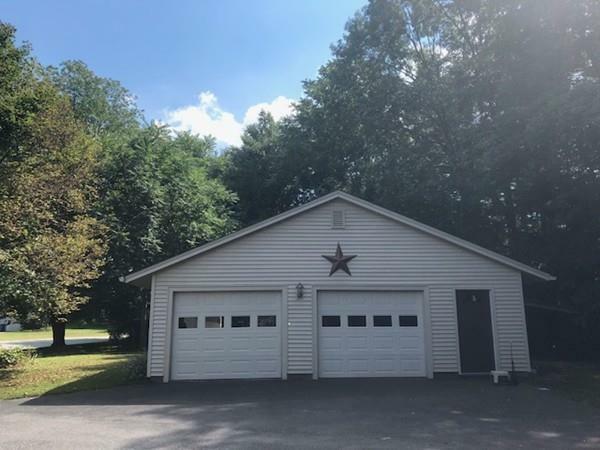 .. CT/MA Border ~ Custom "Hip Roof" Ranch with Solid Double Door Entry! Lots of Toys? - NO Problem >> Property Includes a 2 Car Attached Garage AND a 32x32 Detached "Powered" Garage!! 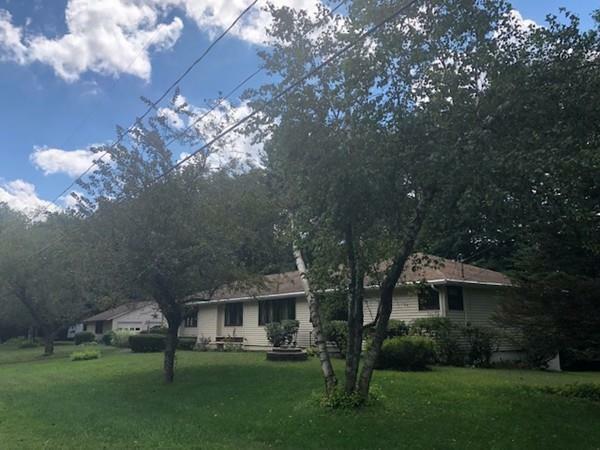 This Large 7 Room, 3 Bedroom, 1 Full Bath Home Offers so Many Wonderful Features >>> Easy Access - Level Lot to House, Only 3 Steps to Enter! 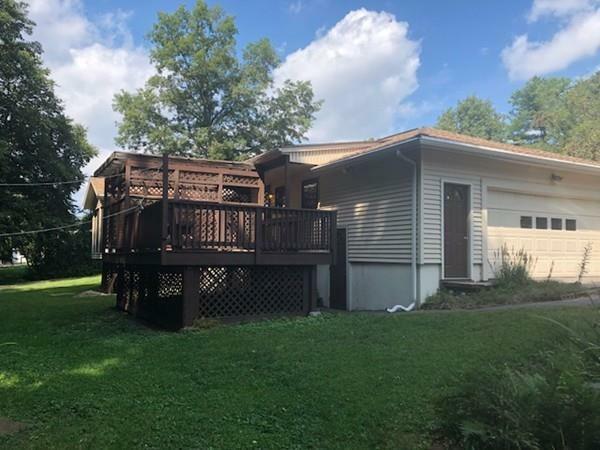 Living Room with Beamed Vaulted Ceilings & Back to Back Brick Fireplace!~ Enclosed Heated Sunroom!~ Koi Pond!~ Large Level Lot!~ Wired for Generator!~ Hardwood Flooring!~ Central Air! !.......The Downstairs is a Finished Basement with Woodstove ~ Laundry room with Tub for ALL Your Furry Friends!! Washer/Dryer hookup on Main Level as Well! 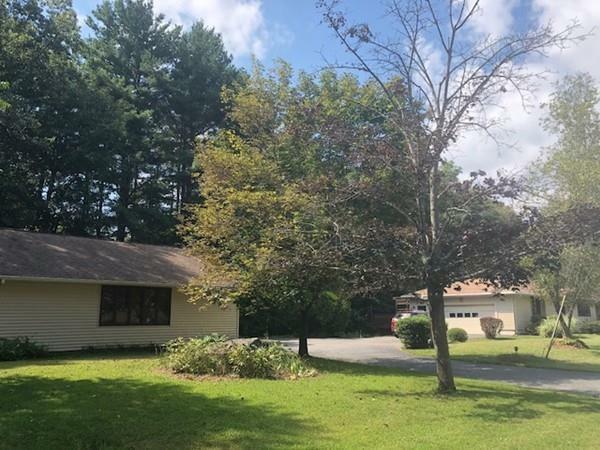 Updates include Roof, Siding, Furnace, Water Heater & AC Compressor!! Great Commuter Location>>> Only Minutes to I-395! Listing courtesy of June Cazeault of Hope Real Estate Group, Inc.. Disclosures Lot is Wide And Narrow - 480' Road Frontage. Although Public Record Says 2 Bedroom Attached is Document From Board Of Health For 3 Bedroom. Listing provided courtesy of June Cazeault of Hope Real Estate Group, Inc..